Many homebuyers have asked about adding barn doors in their Raleigh new homes, in this immensely popular design trend. Here's a summary of what we've learned about the pros and cons of installing a barn door - with 5 questions to ask before decide to take the plunge! 1. Is the barn door covering a bathroom? What room is the barn door going in? If you're thinking of putting a barn door in a bathroom, keep in mind that a barn door does not create a private space the same way a standard door does! While a bathroom door typically latches shut, a barn door does not seal the opening - it hovers close by. This means your bathroom barn door could leave a small gap between the door and drywall/trim. Your idea of privacy will determine which rooms should have a barn door - and whether a bathroom is the best place. What's the exception to this privacy rule? Perhaps you'd like a locking door on the powder room, but don't mind the master bathroom having a gliding barn door. 2. Does the barn door need a lock? Okay, so you're fine with the potential for a small gap between the barn door and wall frame. Another caveate to keep in mind - barn doors don't necessarily come with a lock! You can certainly find hardware options for barn door locks - such as a metal hook and eye designs - but the idea of a lock on a barn door is not something we've found to be "standard practice" in how such doors are manufactured. Have you found locking barn doors you love? Tell us about them! We're always interested in new home design trends. 3. How much room is there for a barn door? A barn door requires about twice the space of a typical door. Why? Because the door needs enough space to slide open. This means you cannot place furniture or objects along the wall (why would you want to cover the barn door, anyways? ), and need to have enough length of empty wall to fit the full door width. 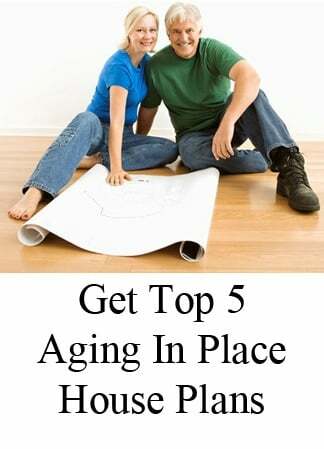 This also means taking into consideration placement of any wall sconces, artwork, and possibly light switches. A more common alternative to a sliding barn door is a pocket door. What is a pocket door? A "pocket door" is a door that slides into the wall, disappearing from view. Pocket doors are great in spaces that require multiple doors back-to-back. A pocket door can replace a traditional hinged / swinging door. Pocket doors have their own, unique list of pros and cons, which you can find here. 4. What's your home style? 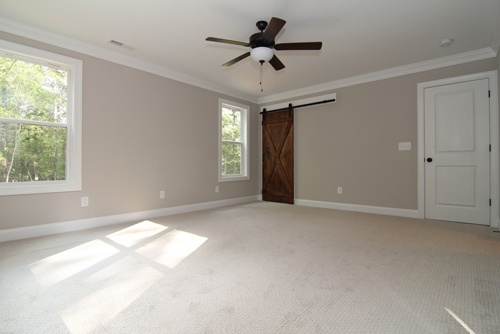 Barn doors tend to be focal points in a room, especially inside the Raleigh new homes we've built. When considering the pros and cons of barn doors, you'll want to make sure to balance the materials, style, and design with the rest of your home. Are you going for rustic? Contemporary? Farmhouse? Traditional? Or a blend of styles (called transitional)? Choose a style, and use your barn door to highlight key features. You can find almost any style combination you can think of - from reclaimed wood to chalk painted to contemporary glass - so there's no ceiling to your choices! But keep in mind - barn doors are more costly than standard doors, and the more custom you go, the higher the cost will be. 5. Who will be operating the barn doors? It's always a good idea to baby- and child-proof your home if you expect to have little ones roaming around. If you do plan to use a barn door in a space that kids will be using often, keep in mind how the door functions (by sliding), the weight of the materials you choose (metal vs wood), and make sure you teach kids how to properly operate the door. 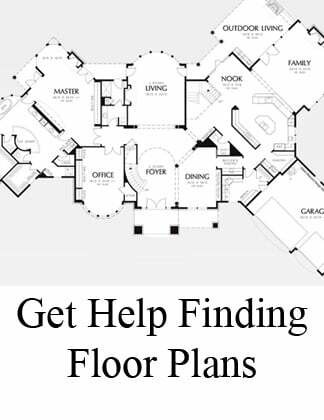 Will a barn door fit in this floor plan? 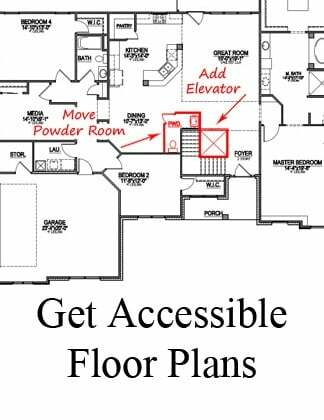 Want to know if your floor plan can fit a barn door? 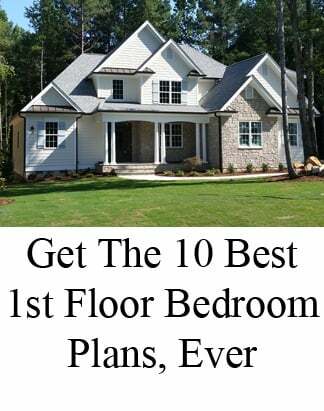 Send us a short description of what you'd like to do - including the name of the plan or a link to it - and we'll tell you what modifications are possible inside a Raleigh new home - click here.